As you will have gathered I’m a big fan of winter tyres and the safety and confidence they offer in terms of winter driving. Because I’m involved in the trade the swapping of tyres from season to season is no issue but I appreciate for most this is an expense and inconvenience. The changing of 4 tyres costs around £60-£70 a time, so twice a year equates to £120-£140. For this reason many users of winter tyres also invest in wheels to mount their winter tyres on, doing so makes the swap over far, far easier. Changing each season can be done at home with a jack and wheel brace, or at any garage for a minimal cost. If you imagine that a set of winter should last a number of years depending on the mileage covered, a set of wheels soon pays for itself from the changeover costs alone. Save you trashing you summer wheels – even with winter tyres fitted, the winter time increases the chance of hitting kerbs, not to mention potential corrosion from all the salt put down on the roads. Allows you to fit a smaller wheel – this has 2 benefits. When it comes to winter performance it’s a case of the narrower tyre the better. The great wide tyres on the back of your BMW may look lovely and make the car feel really grounded in the summer, but in the winter they are no use at all. Most vehicles will take a slightly smaller wheel which in turn uses a small (& narrower) tyre which will be more effective. Smaller tyres are generally cheaper too and in many cases a set of large high performance winter tyres can cost more than a smaller wheel and tyre package. When looking at winter wheels you will often have a choice of steel or alloy. Steel wheels are cheaper and will be specific to your car, therefore rarely interchangeable. Occasionally new nuts/bolts are required from the vehicle manufacturer which needs to be factored into the cost. They are usually painted black and supplied without wheel trims, many motorists like the contrast in vehicle appearance and are used to seeing vehicles look this way on the continent. They are usually produced in smaller sizes, say from 13″ diameter up to 16″ and are suitable for small to medium sized cars. It’s unusual to find steel wheels in 17″ and above and are usually not an option for owners of SUV’s. 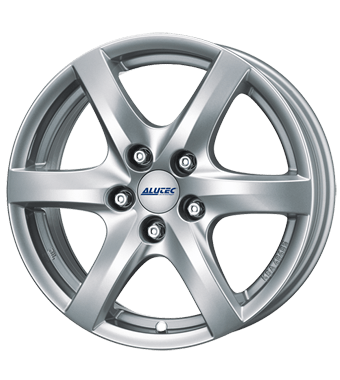 Alloy wheels are generally a little more expensive but look nicer, also for some vehicles that will not take a particularly small wheel because of the size of the brakes alloys may be their only option. They are not any more prone to damage than steel and if bought from a wheel specialist should be suitable for winter use in terms of having a durable and plain paint finish. Many quality winter alloys come with anti-corrosion warranties and as long as they are cleaned from time to time will last a long time. 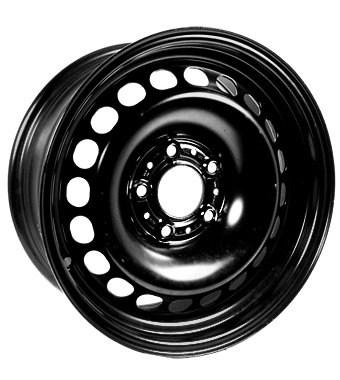 Some wheels have the benefit of being suitable for a range of vehicles which has its advantages and may just require a new fitting kit in order to make them compatible for a replacement vehicle. Make sure you avoid alloys that are too fancy, intricate designs are difficult to clean and any polished edges will have a tendency to corrode. 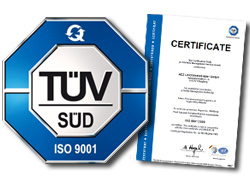 TUV approval – this is a European approval process that tests to make sure an after-market vehicle component is suitable for use on a particular vehicle. When buying wheels I’d highly recommend checking that the product carries this certificate and should be able to be sent to you. We don’t have any such testing authority in the UK however if you buy a product that has TUV then you know that you are not going to have any issues with insurance or warranty. Being a European system you won’t find this on Asian imported wheels so I’d always advise spending a touch more to get a quality product that you know is safe and suitable.